The US dollar has been the world’s reserve currency for many decades now, but the trends seem to indicate that China is preparing to overtake the US in regards to being the “standard” currency. The world’s monetary system has not had any direct involvement with gold since 1971, when U.S. president Richard Nixon ended the conversion of the dollar into gold. China seems to be preparing itself for a big involvement in gold, potentially backing their currency with gold. The graph below shows that world reserve currencies come and go, and they change on average every 95 years. It is impossible to know exactly how much gold China has, as their central bank is more secretive in this regard compared to other countries. The last “official” announcement of their gold holdings was in 2009, and it was reported as 1,054 tons. Those figures would currently put China in the number 6 spot on the list of countries who hold the most gold. However, Matt Insley at Agora Financial put together an estimate based on import figures, mining production figures, as well as more stealthy forms such as black-market gold from Africa and the fact that China urges its citizens to own physical gold. The mining and import numbers alone would mean that China has at least 3927 tons, but with the other additions, it brings the number up to potentially 7000 tons! Either of those two numbers would currently place China at the number two spot on the world rankings of gold holdings. The number one spot goes to the US, who supposedly holds 8133.5 tons supposedly. Keep in mind that the US has not had their gold audited since 1953, despite former congressman Ron Paul’s efforts in introducing a bill that would audit Fort Knox in 2011. Last year saw a new international debacle when Germany asked for its gold to be repatriated by the Fed who had been storing it. The Fed claimed it would only deliver 300 tons, out of the 1500 tons of gold that was originally stored. They also added the provision that it would be paid back over a seven-year time. So far, only 5 tons have been delivered from the Fed’s vaults. What this could mean is that the US has almost no gold at all. So if it’s true, then China already has more gold than any other country in the world. So why are they doing this? The obvious answer is that they are preparing to dethrone the US dollar of its reserve currency status, and replace it with a gold-back Yuan (Chinese currency). China is either number 1 or 2 in its gold holdings, and they also import more gold than any other country, they are also the world’s largest producer of gold, and they export ZERO of what they produce. The Chinese government encourages its citizens to buy gold and save in gold, and the nation has already been making bilateral trade agreements with other countries, that specifically do not use the US dollar in the exchanges. The Chinese save over 35% of their incomes, compared to about 2-3% in the US, and they have the world’s largest manufacturing sector. Impressively their middle class seems to continues to increase while the US middle class dwindles. China is one of the largest creditor nations in the world, while the US on the other hand is the biggest debtor nation. All signs point to a new world reserve currency, and the balance of power may change with it. Well Done Mr Webmaster ! Been putting the Oasis through the wringer today, and ZERO 503 messages. Thank You ! It seems that the IRS simply can’t keep themselves out of the targeting business, as they’ve joined forces with atheists to start cracking down on churches for engaging in political activity. Liberals are once again attempting to use the IRS as an “enforcer,” a weapon to use against those who voice their dissent against the progressive agenda being pushed by the president. One would think after the whole targeting debacle against conservative groups, the IRS would put the brakes on something like this and refuse to participate, especially with the negative media attention the agency has heaped on itself, but that doesn’t seem to be the case. Unreal. This is obviously a means for liberals to once again limit freedom of speech and keep people from sharing their views, especially ones that oppose Obama and his agenda. Liberals know that religion is one of the biggest hurdles in their drive toward building a Utopian society, so they’ll do anything they can to reduce its influence in culture and politics. Churches and preachers played critical roles in building this nation, inspiring the Revolution that birthed the United States. It’s time once again for this to be true, but in order for that to happen Americans of all walks of life need to band together and demand the government stop stepping on the Constitution and violating the First Amendment. I don’t think any state has passed GMO labeling yet. We sure have a lot of uninformed consumers, people who think that these big companies are looking out for their customers and not just their bottom line. Disappointing! Standard & Poor’s declared Argentina in default on its foreign-currency obligations after the government missed a deadline for paying interest on $13 billion of restructured bonds. The South American country failed to get the $539 million payment to bondholders after a U.S. judge ruled that the money couldn’t be distributed unless a group of hedge funds holding defaulted debt also got paid. Argentina, in default for the second time in 13 years, has about $200 billion in foreign-currency debt, including $30 billion of restructured bonds, according to S&P. NOW, I know why she turned you into a FROG ! updates…. of our pre-tent-a-thon 2013.
we have 19 pledges with 5 remaining and its still pre-tent-a-thon kick off time starting high noon tomorrow the official start of the 2013 tent-a-thon. i think we might just miss the start time and have to cancel the ‘official’ 2013 tent-a-thon i do! keep them pledges coming folks just 5 more and .. .. wa-la! folks we have 7 pledge slots left before the ‘official’ 2013 tent-a-thon kick off tomorrow at high noon thursday jan 24 and it would be great to fill them before hand so we could then break all records and ‘cancel the official 2013 tent-a-thon due to overwhelming pre-participation’ so come on all you tenters and lurkers dig down a little and pledge a c-note before high noon tomorrow. i know you can do it i do! its not even thursday yet and we have 17 contributions to the cause with just 7 left to fill for this years goldtent dedicated servers and stuff bill. one of the donaters was from last year after we closed the tent-a-thon 2012 with the initials WC whom i have put in first place and used WC since she wishes to remain in lurker status and annanomus. i raise the flag of goldtent..
wow what a fantastic crew! and we are cooking with hot coals….already the tent has 14 pledges and only 10 more needed. what a crew! maybe we can get some overnight pledges? i need now to bid all a good night and a great thank you for your assistance in keeping the goldtent the best pm site in the whole wide solar system…bet cha thought i was gona say world didn’t ya! old dog learns new trick…i was just shown by fully how to update the post without cut n pasting a new one which has been a pain in the patoot in past tent-a-thons….sooo this is update 2 and we have 12 pledges half of the commitment and we’re not even ‘official’ yet…i’ll bet the ‘official’ start at high noon on thursday of the 2013 tent-a-thon will be called off before it begins because of all the subscription pledges being filed….betcha betcha betcha! it was brought to my attention by fullgoldcrown that we are in debt….bad debt….the annual debt….deep in debt….buried in debt….up to our eyeballs in debt….debt debt debt….so to pay off the debt i hereby declare at high noon on thursday january 24 in the year 2013 to be the start of debt freedom day better known as our annual TENT-A-THON for 2013.
and as always to start up our tent-a-thon i will pledge the first c-note. this year as last year we need $2400 bucks, clams, glotskies, somolians, gerkins better known as c-notes for our dedicated servers and all the good ‘stuff’ stuff being a highly techinickle term i know few of you would understand…since i don’t understand it myself but be that as it may we will be kicking off our annual tent-a-thon at high noon on thursday jan 24, 2013. 7 buygold …………..1 c-note..recieved much thanks and the bottoms in! #1 for next year ‘duke’…1 c-note recieved. terrific my friend and don’t lurk so much. a final thanks to scruffy floridagold and brittle not to mention wanka to complete our 2012 fundraiser. 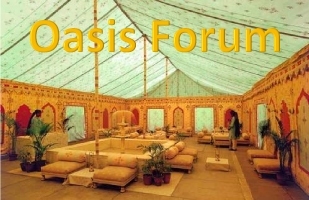 a rousing thanks from the admin contingent of the tent for a sucessfull completion of the 2012 tent-a-thon and a big thanks to all participants, who selflessly contribute to this advertiziment free no holds barred goldtent forum of imeasurable wealth of information and comaradrie. the tent rocks! a big rousing overnight thanks to molyminer, commish, overton, beastie and [would he have licked half the envelope]ferret the chief homeiopath of the ausi contingent. three cheers hip hip horay! update #3 tent-a-thon——-please send checks to gary noted below. big thank to you RNO and folks keep them cards and letters coming in we are 14 pledges good with only 10 more in the hopper…step right up and get your little bit of tent while the slots last. its only a c-note just a little c-note for all the facility of the tent i think its a bargain i do. big thanks to maddog and ipso facto a couple of real stand up guys… yea! there has been no tent-a-thon for our 2012 year and fullgoldcrown has shouldered the costs on his credit card since august so i think it only fair to kick off our 2012 tent-a-thon soon with equiz leading the way in the #1 slot if my memory serves from last year he was adament for #1 for this year so i say hip hip horay and 3 cheers to our good tenter vancouver friend equiz an a-#1 kinda guy! good morning tenters from the 4 corners…and whatsup we thank you. OK…Lunarpages billings to my credit card for 6 month billing. OFF to the RACES for the tent-a-thon of 2012 our 5th year of the meeting and greeting under the flaps! we were a shared server the first year of existance in 2007 into 2008 of which audept picked up the whole tab of something like 450 bucks and we blew out the servers in 2008 so we opted to go to a higher speed and custom dedicated servers for 2009 and beyond which mounted a couple of grand. this is the history in a nutshell for any new posters. we are now at our 2012 mark with upwards of a stable 2+M hits and 150K visits per month in .com and .net and .org combined all three of which the tent bought and owns thanks to its occupants. and a big thank you to all the tent posters which make this the ‘best damn precious metals site on the internet’. now without further delay the 2012 tent-a-thon is on!!! below is the pre-thon pledges and you are all awesome. hip hip horay! 1/17/12 a very special mention for WS a lurker of all things. please post dear lady. see FGC’s redacted email to me below. She sent her business card too…Senior VP and Director etc..Nice to be appreciated eh ? One of these days, if humanity survives…. Why do I always get blamed? All I was trying to do was make peace between you and the wicked witch of the west! (not that she’s wicked or anything) but you know what I mean. I noticed she is wearing nice looking shoes. posted at 6:35. It is important that I pass that message on to some persons who will be interested on where the price of gold might be headed. When I do so, they will ask me the source of this opinion. I could not see a URL link (except for the one embedded link to another article by Fekete). Do I indicate that this perspective was written by Scruffy of Goldtentoasis? Or was it a viewpoint from some other linkable URL? The young lady in this video is named Kseniya Simonova. She is seen here appearing on the Ukraine version of America’s Got Talent.